The new state-of-the-art Concordia Nursing Skills Lab utilizes practicing nurses to relay their knowledge and expertise, firsthand, in a collaborative setting. Students will learn basic skills while nurturing the mind, body, and spirit for service to Christ. 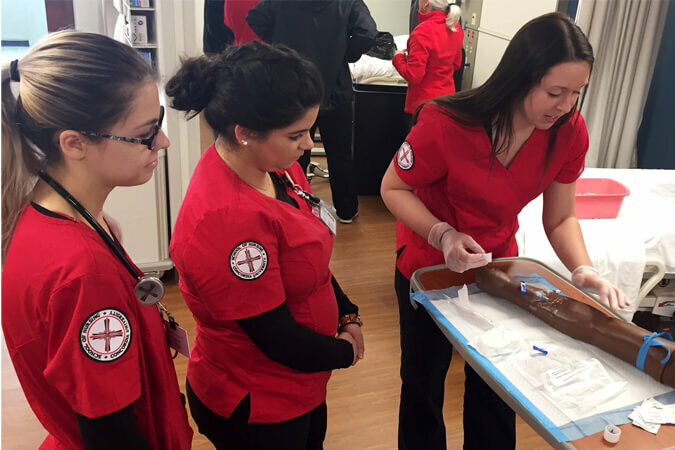 Extensive hands-on experience prepares students for clinicals while giving them the confidence to perform difficult tasks. CUAA recognizes this very important aspect of a comprehensive nursing education. 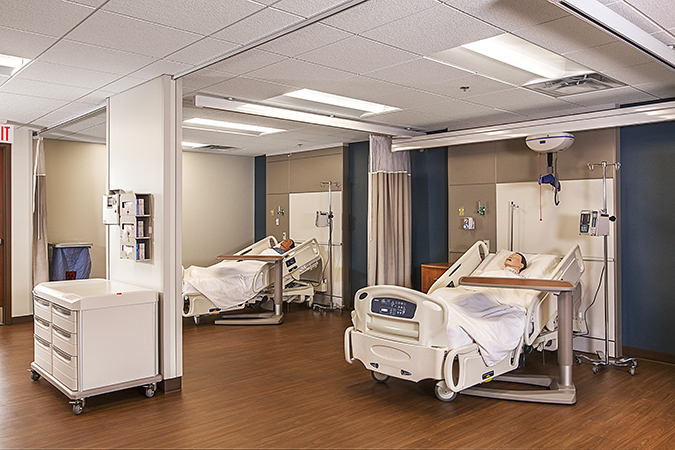 The newly-opened Skills Lab utilizes the latest nursing technology. Perhaps, even more importantly, the Skills Lab leverages the experience of practicing nurse instructors who share their real-life experience in a hands-on nurturing environment. 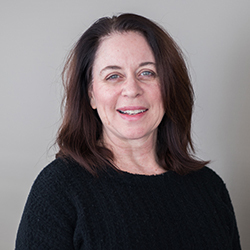 Kathie brings with her over 10 years nursing experience in areas including GI surgery, med/surg, trauma, ICU, and cardiology. She earned her first bachelor's degree in Graphic Design and English from Concordia Ann Arbor before she obtained her nursing degree from the University of Michigan. Kathleen has been a nurse for over 12 years. She has vast experience in med/surg nursing and is a certified vascular access nurse. 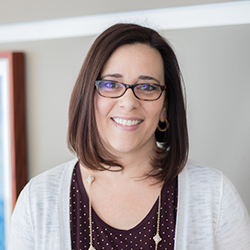 Her passion is teaching and she enjoys mentoring nursing students in the clinical setting.